This Business Trip Budget Spreadsheet is built to help you keep track of your business trip expenses. Here is a screen shot that will give you a better idea that what you need to do and what this free Business Trip Budget Spreadsheet can tell you. 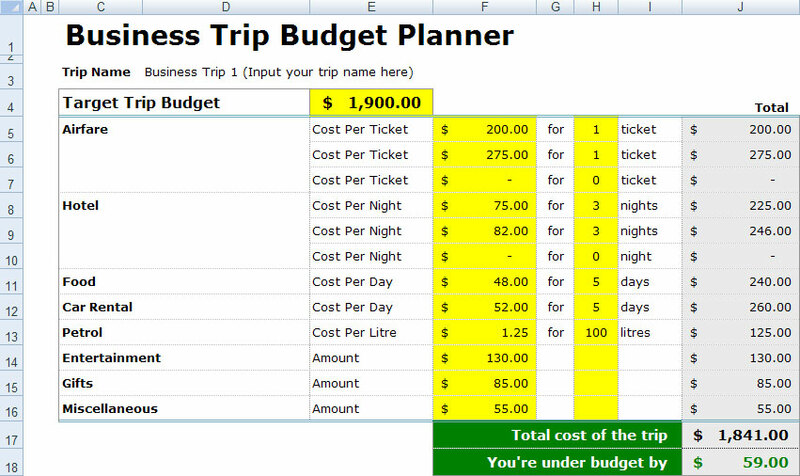 Download FREE Business Trip Budget Spreadsheet Now!